About Jordan Alam: I am a trained birth and postpartum doula serving the Seattle/King County metro area. I trained with Ancient Song Doula Services, an organization devoted to racial and economic justice in birth work. Birth and early parenthood is a powerful transition in the lives of my clients. My doula work focuses on returning power to my clients – regardless of their philosophies and choices around birth, I want all birthing people to be respected, supported, and fully informed about their options. I offer my services at flat rate and sliding scale; I also work with a local organization that offers free of cost doula services. You can find more info about my work at www.jordanalam.com/doula- services or by emailing me at jordanalam7201@gmail.com. I have been supporting people through big life transitions, professionally and personally, for years. In college is where I found the language for what I had already been doing since middle and high school: supporting others through trauma. I built on these skills by working as a peer health educator and as a domestic violence advocate. When I came across the word “doula,” it really felt like it brought together all of the skills I had been cultivating for those past years – deep listening, advocacy, bringing comfort, etc. When I graduated and had some time on my hands, I went and did my training! 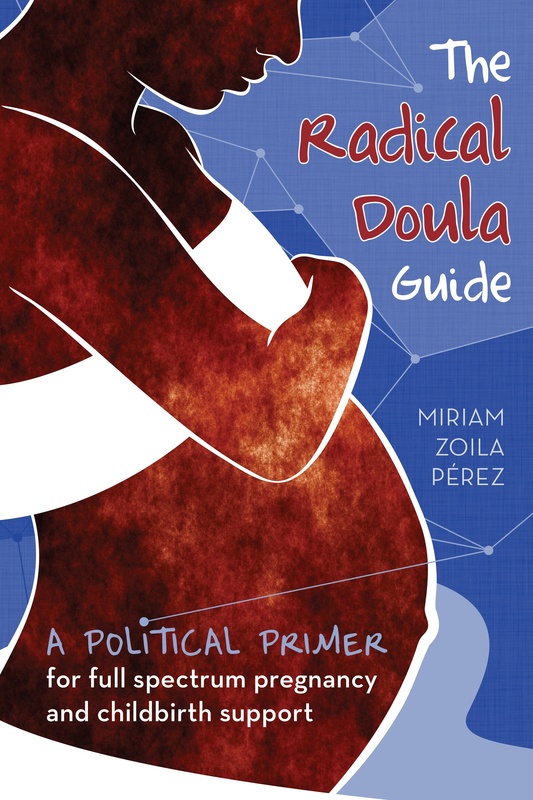 My doula work is committed to supporting those who are traditionally left out of conversations about their rights and choices around reproductive justice – especially women of color, trans and queer-identified people. I identify as queer, South Asian American, and Muslim, and these identities shape how I walk through the world. I have also worked as a domestic violence advocate and am working towards supporting people through adoption/all-options counseling. I consider my work “radical” because, although “radical” or “activist” work at large is perceived as protests and/or changing legislation, I believe that the emotional labor, relationship building, and advocacy are important (and overlooked) parts of justice work. When else are you able to be so present than when you are attending a labor? I am really attuned to my client and attuned to the energy of the room; I’ve described it that time slips through my fingers during those moments. I’m also just very curious and being a doula allows me a little window onto the experiences of others. I tend to be more of a listener and facilitator in my doula role, and I’m always delighted to see how others interact with this huge moment of change. I would change the way that medical interventions are presented to clients in hospitals, particularly. My view is that clients can and should make decisions on their own about their care, but too often the options are presented in a way that doesn’t respect the client’s autonomy. For example, if a client is requesting an epidural, care providers should mention that it might slow down their labor – that should not be my role to explain! Additionally, I don’t believe that medical providers saying “you’re going to love this epidural” and other personal opinions allows the client their freedom of choice either. Since the majority of my clients of color are delivering in hospital, this is especially true of their experiences and unhelpful in context.